I'm working on decorating my home - getting those files off the computer and up on the walls! Sometimes there are too many choices!! 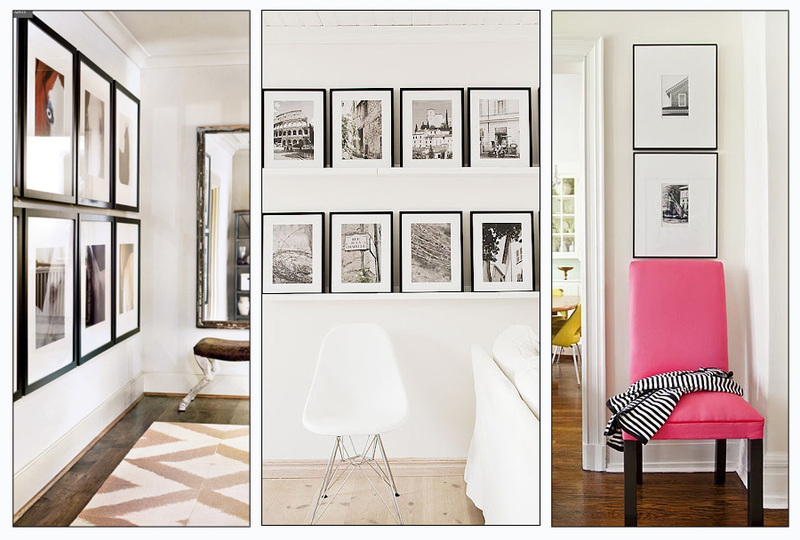 A series of uniform frames fills a wall with large scale impact and allows you to display lots of favorites! If using color photos, display a series from the same photo session. Black and white prints would allow a mix of sessions. Mix detail shots with candids of smiles for a great collage. Weddings are full of little details to plan and personalize. One fun area is the choice of guest book. 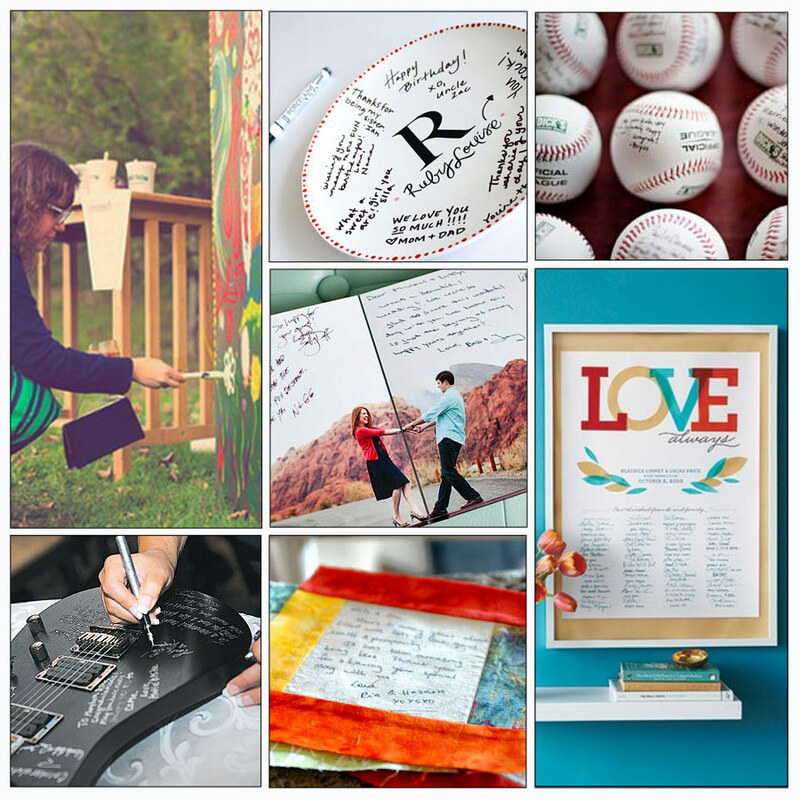 Engagement photos make a lovely keepsake book but you can reflect your interests as a couple by using other objects. Photo credits (clockwise): Green Wedding Shoes blog featured a bohemian wedding where the guests each painted a bit of a large canvas. Aedriel Originals Etsy shop sells chic monogramed guest plate. Big City Bride featured a wedding with signed baseballs for a marriage of athletes. Martha Stewart Weddings featured the LOVE sign. Alison Pierce Photography featured a guest book of quilting squares for a crafty couple. A muscial couple might like a signed guitar as seen on enchanteddreamweddings.com. It's chilly, it's winter. You're in your wedding dress topped with a fur cape. Your guests are about to head home into the chilly starry night. 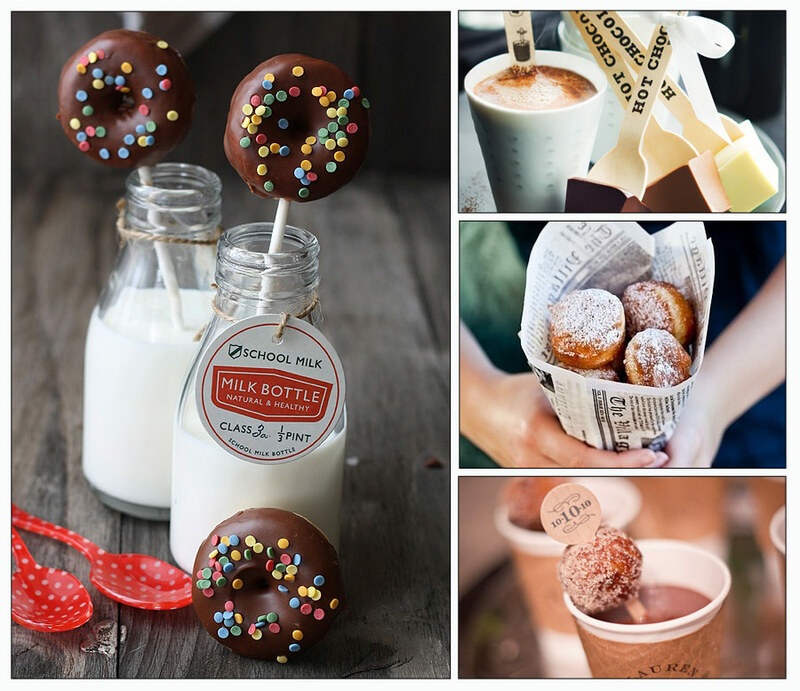 Cap off the evening with a fun donut and hot coco bar! Or better yet, start the day with coco and donut service for the bridal and groom's parties. Grandma, Grandpa, and that cute little ring bearer will be all the cheerier beginning the long day with sprinkle donuts! You've received your disk of images and are overwhelmed - what to do with all this?? Amber and I love to meet a couple and see their home. This gives us an idea of a couple's style and what type of image would work in their home. Cassia made a point to emphasize her apprication for a more modern look. (You can see more photos from Chris and Cassia's wedding here and here.) I love the idea of a large scale print! The limited wall space in my home prevents me from doing this but I'd love to see someone take the risk and go overwhelming large scale! 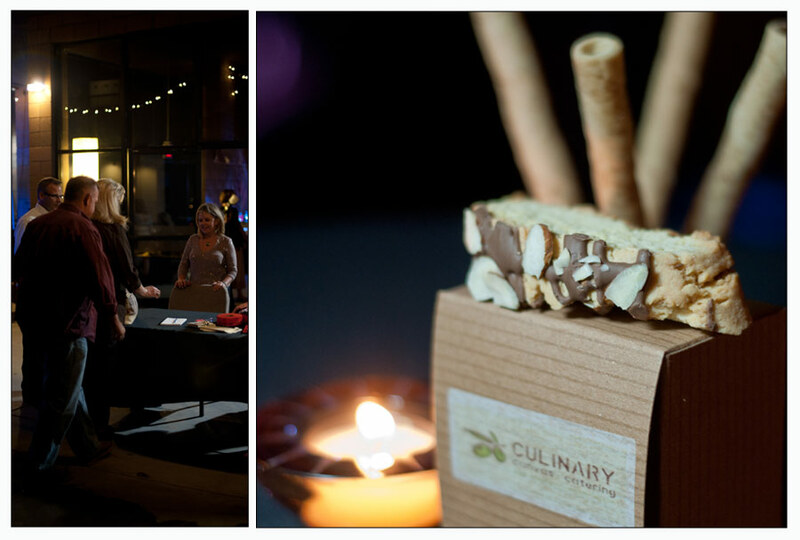 Culinary Canvas invited us to be part of their Holiday Showcase event. We walked away from the party with a few shots of the food and an addiction to Bacon Wrapped Honey Glazed Shrimp and Ganoche in Vodka sauce. We horded our little gift baggies of yummy biscotti and super moist pumpkin rolls - I confess to being super reluctant to share!! I'm also embarrassed to say I'm not a foodie and failed to recognize several flavors without reading the little identifying cards. Despite my culinary failings, I'm still being entrusted with the Thanksgiving dinner. This weekend enjoy your meals, but if you burn the turkey or walk away from the table less then satisfied, maybe for Christmas or New Years, Culinary Canvas can rescue your party! 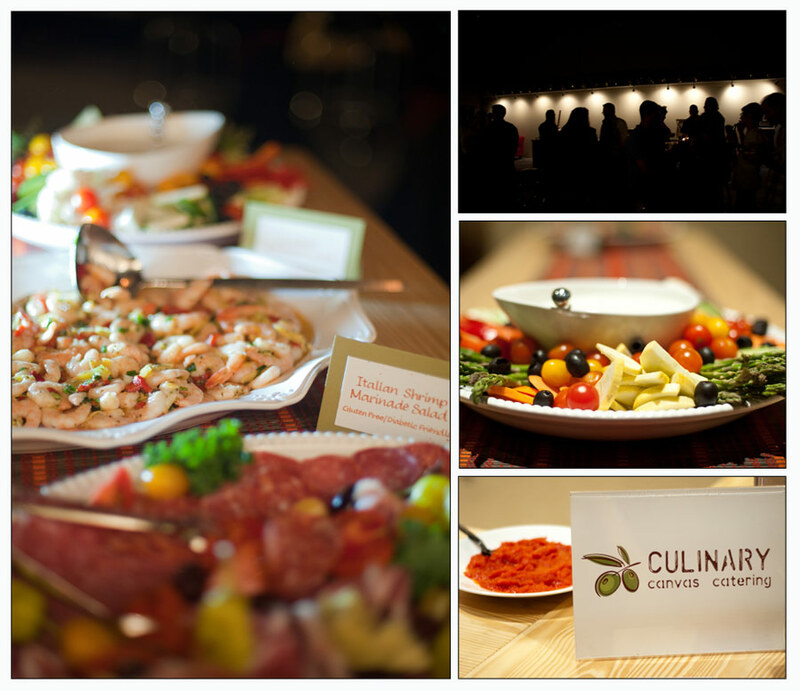 Check out their website at www.culinarycanvascatering.com or read our interview with Rachel and Luke here. Consult an experienced florist before deciding what you must have. The specific flower you'd like might be a poor choice for your wedding season (doesn't do well in heat or is out of season during that month.) A florist can provide afforable alternatives. Choose a mix of silk and fresh - decor arrangements can be potted plants or natural shrubs. Rustic greenery can provide a romantic natural ambieance. Don't skimp on style for the bride's bouquet. This will be featured in every photo and play centerstage. Be creative in design choices for the remaining bridal party. Bridesmaid bouquets can be simplified or downsized. Pull accent flowers from the bride's bouquet to maintain a consistant scheme. This yellow/grey board feature bouquets at 3 different price points, several backdrop options emphasizing paper and fabric decor, creative boutonieres featuring felt, dried florals, or pom poms. Centerpiece options range from lush arrangements to fun drinks tubs to elegant scattered stems - all with eye catching impact. 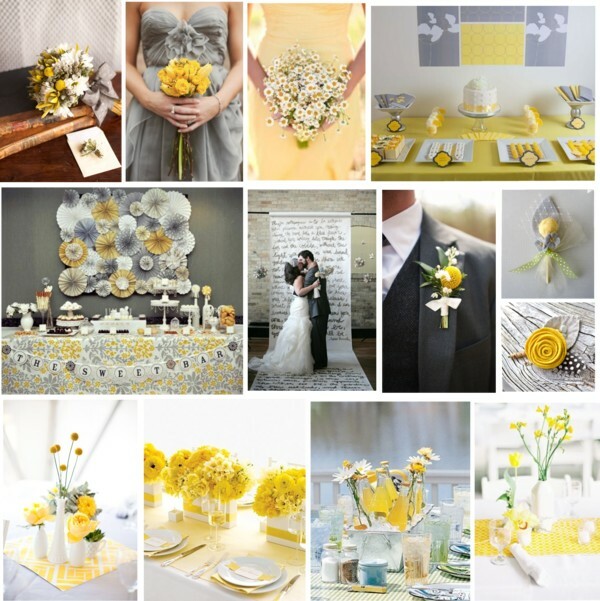 Contact TLP for an inspiration board in your color scheme! I have been dreaming of this print product for some time now. And I am very excited to get it started. This product is custom made, Your choice of size, color and many different designs to choose from. 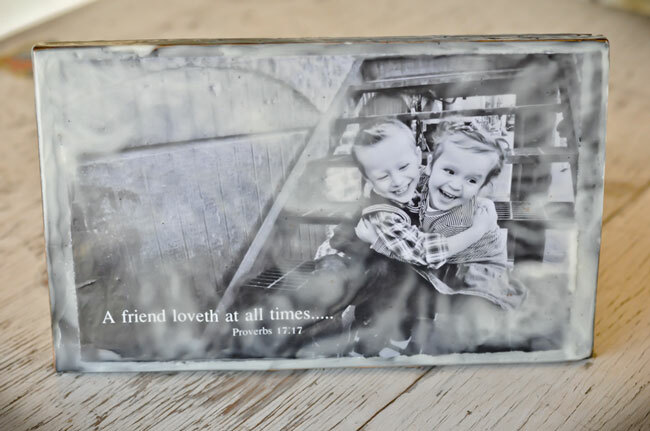 It can be in style of a Plaque (as seen below) or as a Frame. (coming soon). I'll be posting many more pretty print ideas for this product soon! 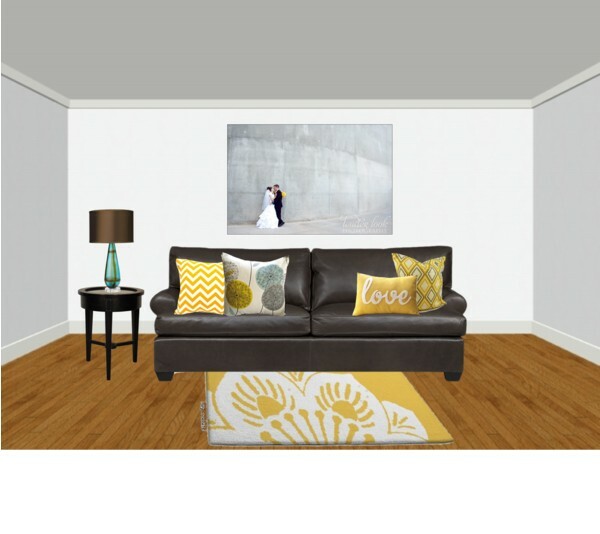 If you are interested in a "in home" consultation or ordering this custom print product be sure and contact us . I have always loved this picture of my husband and I at our engagement session. I've been wanting to so something special with it for a while now with one of our favorite bible scriptures. And of course I wanted to use our new print product in my home. I love how it came out and makes me smile every time I walk by. Everyday is location scouting day for photographers. It's always been my whine that we have to struggle a little harder to find great locations here in the barren desert with little history. Fortunately, Arizona continually proves me wrong! Great stuff is everywhere! 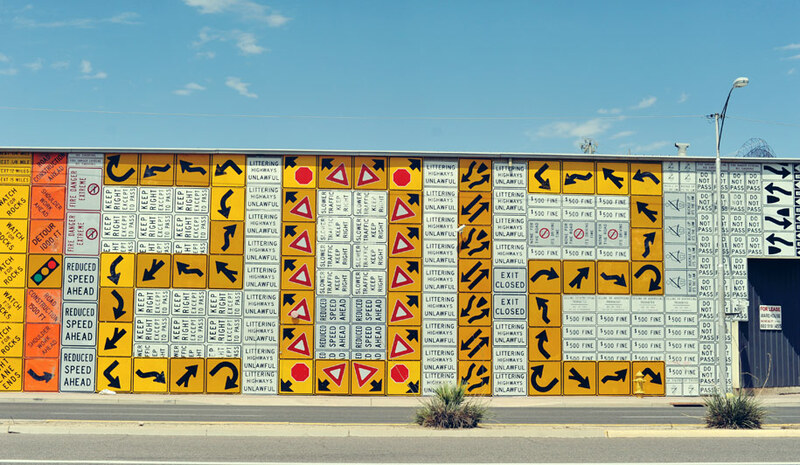 Driving out to the hike at Rio Salado this past Saturday morning, this gorgeous graphic wall caught my attention. One the way back, we made a point to swing by and grab a few photos. I was lucky enough to meet the building owner Micheal Levine. He gave me a quick tour of this building. The outside property is available to photographers for a shooting fee. You can view additional information about the property and contact Mr Levine at Levine Machine. When shooting at a wheat field recently, the local farmer shared a story - he lost 16 acres due to fire. People visiting his property without permission has caused the damage. Please be respectful of property owners. Gain permission before shooting at any location. This building is available for weddings as well. I'm not sure if the snake would lead the congo at the reception? but that might be fun! For brides looking for a location a little less generic than a local hotel or resort, this building has so much style!! 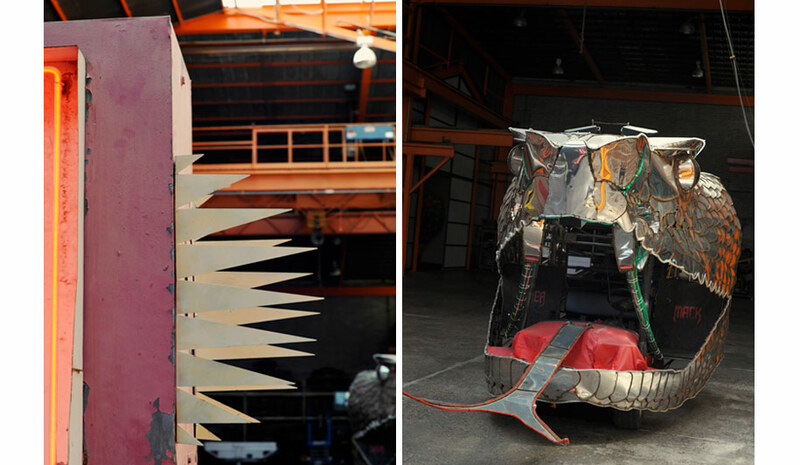 The Blog at levinvemachine.com features video showing the install of the wall and the making of the snakemobile. 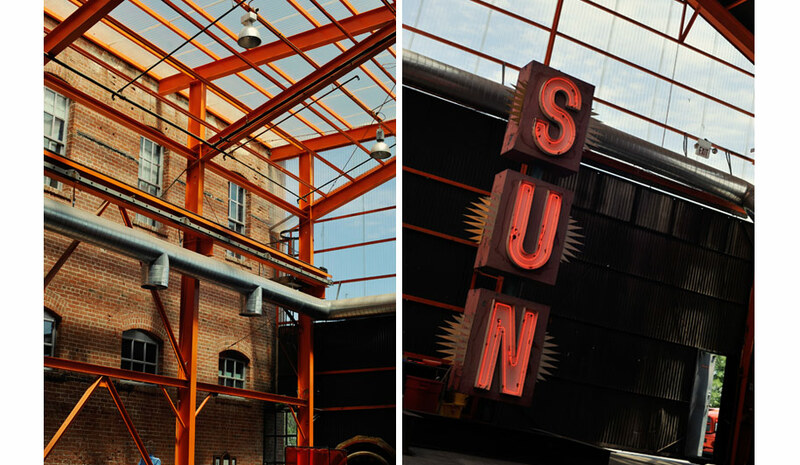 The Downtown Phoenix Journal has an interesting video on the saving of historic warehouses in downtown Phoenix. From the moment we first sit together for coffee and chat about your wedding, we love to be involved and be as helpful as we can. So many times we are asked for recommendations for other wedding vendors. We love to refer great companies - someone who will make your day just a little bit more special. Amber first introduced me to the Timpe family several years ago - here is her personal testimony of meals that left an long lasting impression! That's what a wedding dinner should be, whether a simple luncheon for a dozen loved ones or a feast of large proportions - each should be a wonderful memory of a delicious meal, shared with precious family and friends, and love passed all around. Amber: "My experience with the Timpe family kitchen started 8 summers ago. After meeting Rachel and her cousin Christan (who is now my sister-in-law) at a youth camp. I had to go visit them in their home town in Butler, PA . I was greeted with so much love from the whole family. I was hugged, kissed and brought first thing to the kitchen where they expressed their love and appreciation to you. As I went from home to home getting the "full Italian family experience". Every meal was made with love, fresh ingredients and much thought and theme went into them all. Every meal was set out with fresh ironed napkins and adorable table setting. I remember calling my Mom a few nights later after arriving and telling her I had never been kissed or fed so much yummy food in all my life! One of the evenings I was at Rachel's home watching her mom Nancy prepare dinner. I looked at the piles of dirty dishes mounting up as she continued to cook dinner. I asked her what keeps you cooking like this every meal knowing all the dirty dishes for all the special sauces and fresh steamed green beans etc..... And she simply said it's one of the ways I let my family know how much I love them. I walked away from my visit with many wonderful memories and a special appreciation for a good home cooked Italian meal made with love. After Rachel got married and moved here to Phoenix. I would come over and partake of her cooking experiments. I saw right away the talent she had and the magic she created out of a few simple ingredients. My new husband defiantly appreciated that special frozen jar of Rachel's spaghetti sauce that I would save for a special candle light dinner for us newlyweds. It honestly brings joy to my heart that my dear friend Rachel followed her passion for cooking and is sharing her family's passion for cooking with the rest the world. And yes, in my humble opinion food tastes better sprinkled with love." 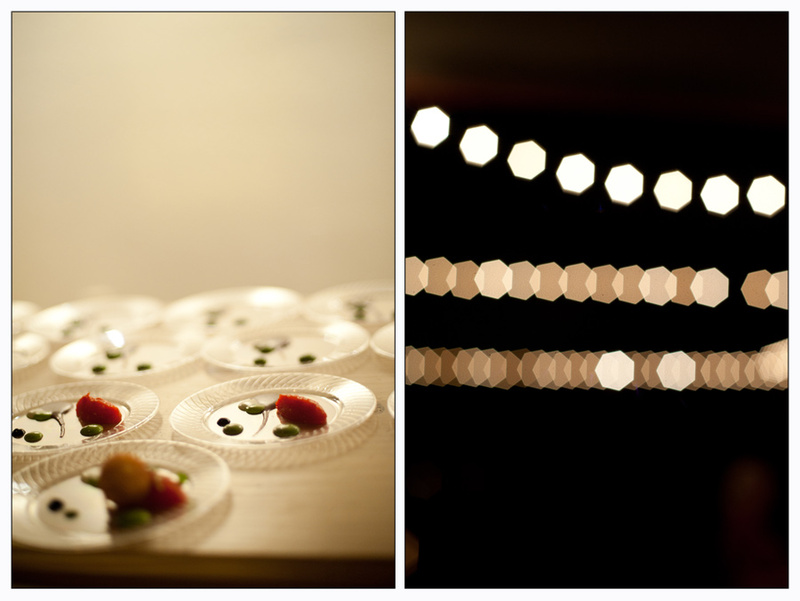 We had an opportunity to interview Culinary Canvas Catering. Here's a little insight into their passion for cooking. How long have you been a caterer? We have been officially in business since Aug 2011, but we have worked closely through the last 15+ years in the restaurant/food industry through family and friends' businesses including, Sanso's Italian Deli and Pizzeria, The Grapevine Restaurant, and Luigi's Italian Restaurant and Pizzeria, as well as we love to entertain and cook for friends and family. We are a combination of delicious home cooking and industry experience with family and friends for over 15+ Years! When did you get started? Our story and passion starts well beyond just Culinary Canvas Catering. 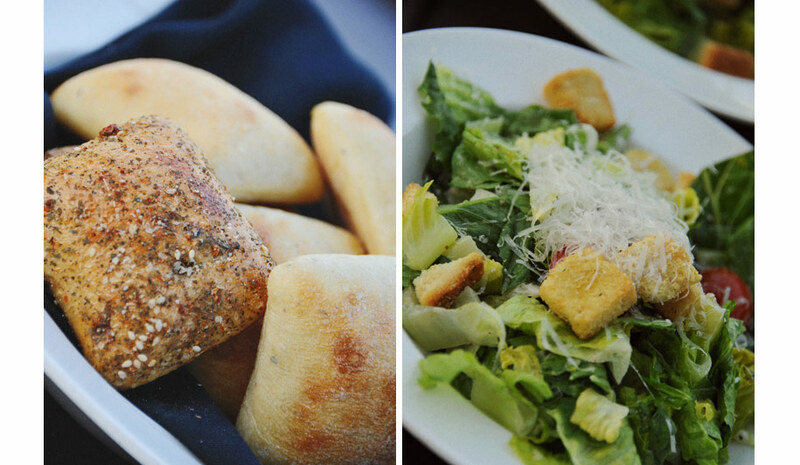 We were raised in a family that loved home-made meals and quality Italian ingredients! We have fond memories of Mom making Lasagna, Eggplant Parmesan, Cheese Manicotti, etc., which now are a number of well loved dishes that we provide currently on our menu for Culinary Canvas Catering. What or who got you started in catering? We have always loved entertaining friends and family at any celebration or gathering. Making different special dishes and providing great food for everyone to enjoy sparked a passion and interest to share the food so many grew to love with a wider audience; and create a local business around those recipes. What is your favorite part of the job? This would definitely be working with the customers to design a menu to fit their venue. This is a special time to get to know them and what we can create to make the food successful for an event. We enjoy a smile on our customers' faces when they receive compliments about how delicious the food was at their celebration. We make you part of the family at Culinary Canvas Catering and take the ownership of every event with care and great enthusiasm to make sure it fits your needs perfectly! What is the most challenging part of being a caterer? The most challenging is indecision of where to start with an event on a customer's standpoint. It is very hard for a customer to know exactly what they want for every event or which direction to go, which can make planning stressful. We try to make it easier for the customer by guiding them through this process. Our first step is to talk with the customer to get basic information about the venue, then we talk about what the event is specifically (Theme Wise or how they perceive the venue to be "Social" or "Family Style" or "Buffet Style"), which helps us formulate a tailored fit for their event. We take demographics, atmosphere, budget, concerns, special needs, etc. all in to consideration while helping you plan your event. What is the most interesting event you serviced? 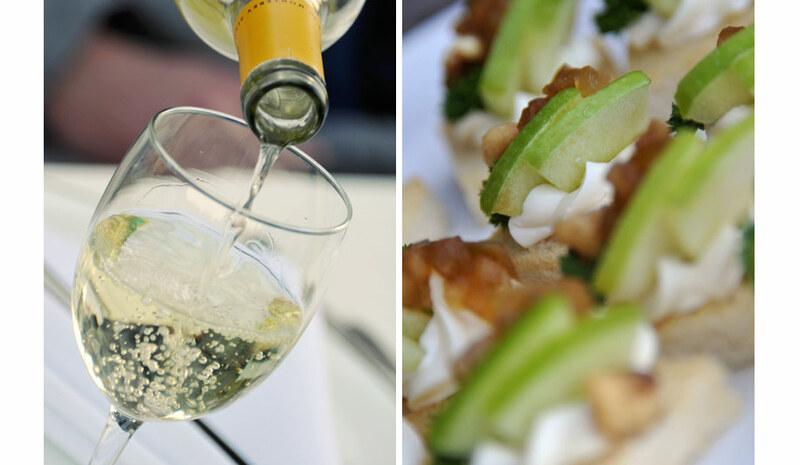 We love to do social events and hors d'oeuvre parties. These are great ways to get to know everyone and mingle with the customer in a unique way. What would be your top piece advice to a bridal couple? This is a once in a lifetime event... Make it special and meaningful to you as a couple so that you get to enjoy it! Be willing to go the extra mile for your special events and we will be sure to meet your expectations. How would you describe your style? We are a very flexible and agile type catering company. We have room to be creative, but keep it intimate and affordable for the customer. How many weddings/events do you average per year? We are a new catering company to the phoenix area, so we haven't had a high volume of wedding events thus far, but have had lots of experience helping and serving food with friends' and family weddings. We have done several large scale events for different celebrations or promotions, as well as quoted a number of large events and. Though wedding events aren't high on our list yet, we are fully capable of the staff and services to undertake such a challenge and exciting event. I would encourage anyone interested in our services to contact us and let us at least provide you with options and a quote to compare with other vendors you may be considering. What has been your most memorable assignment and why? The most memorable assignment was the couples dinner for Evening Light Fellowship; this was an event that was put together very well and we did great with the limited resources we had to service (approx. 140 People); We had our cooks working with focus on the foods and we had our serving crew managing the buffet table. It was a special time for couples' to spend together and enjoy a delicious rewarding meal. What do you feel is the most challenging thing about catering? The time flow a few hours just before an event to make sure food is hot or prepped and brought out exactly on time and kept the freshest it can possibly be. Also, translating a customer's vision into reality can be a challenge, but so far we have done a great job connecting and going beyond the expectation of our customers. Why don't you tell me a little about yourself, your business, and your workflow? We are a small catering company in the Phoenix area. We want to share our cuisine with anyone who enjoys good food as friends and family. We try to keep an intimate, friendly relationship with our customers, and we care about providing quality ingredients as well as presentation. Upon initial contact with a customer through leads and/or referrals we collect contact information, date of the event, and the rudimentary information to determine availability that day; and if we have the capacity/capability of doing your venue. We then ask detailed information about the event; questions that you might not have considered usually come up and things are discussed to work out a rough plan. Once we have collected enough details and information pertaining to the event, we can make a first estimate on the catering services we will be providing and make a first draft proposal. The proposal is reviewed by the customer and changes/adjustments/additions are discussed. We then put the changes into a formal final proposal for final approval by the customer. The event is then put into official action and we make the necessary preparations for it. Through the planning process we like to keep in close contact with staff and customers to make sure communication is seamless. We set up meetings and communication over the phone, in person, and by email. We keep our customers involved every step of the planning process; then we take our qualified staff and turn their vision for their event into reality. What is your philosophy on catering? We take care of you like family! In planning the dream wedding, most brides start by selecting a totally awesome groom. The next step of course is choosing a dress!! The biggest What to Wear question of all- no outfit selection will ever receive as much thought as a wedding dress! I was out shopping with a friend this weekend and we passed a bridal shop. My 3 yr old daughter came to a halt in front of that window. Her whole little face was just lit up. Wow the ultimate princess dress!! Trying on glamorous gowns is super easy and so fun! Choosing dresses for your bridesmaids . . . not so much! The challenge of finding a dress to suit several body types and please a variety of opinions is probably second only to narrowing down a guest list. Neither is easy! Polyvore, a great bride's resource, is a stylists playground. You can browse many dresses: by color, by price, or a number of options. You can also view clothing inspiration boards created by other people helping you narrow down the look you want. You can even create your own Polyvore boards to share with friends. This will help you share your ideas with friends, esp. long distance bridesmaids. Below is a sample What to Wear Bridesmaid inspiration board created by Tender Look Photography on Polyvore. Today I was experimenting with some specialty edited prints. Layering images, the brides bouquet with a romantic photo, sweet text, and textured washes . . . Pair the print with a lovely frame and it would look great in a vintage styled room! I've been frustrated lately with the lack of photos on my wall and by that pile up of digital files that hasn't seen the light of day! Well I finally did something about it! I love so many styles that sometimes I can be a bit indecisive. I've been unable to decide what photos I'd like displayed HUGE on the wall. I am certain I want to hang something gigantic but haven't quite committed to a shot yet . . . so in the meantime I've filled my home with small prints. They are tacked and tucked into all manner of little spaces! When I first stripped the Christmas card holders of all the holiday decor and replaced them with photos of our favorite places, family members, and events - my boys were thrilled! They'd stop and point photos out to friends and talk about old memories. Amber shared something she'd read with me "Your children will know you love them if you take the time and effort to hang photos of them everywhere. It tells them they are important to you without you having to say it." 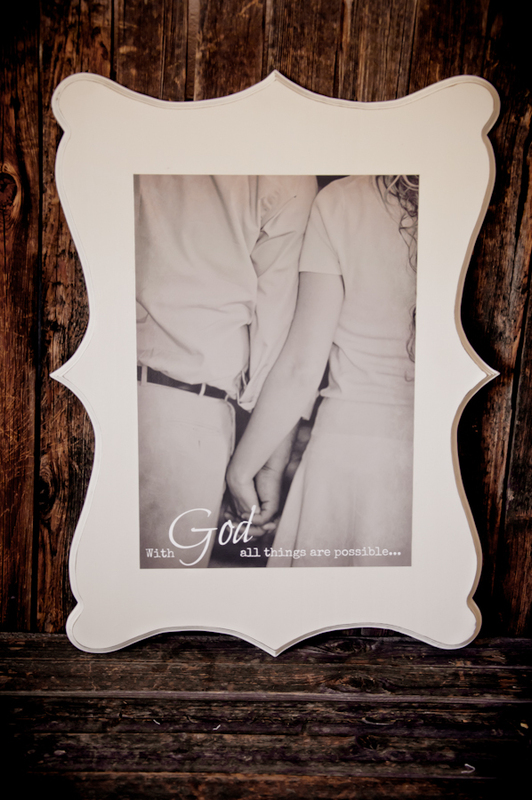 This is also a cute way to keep your engagement photos displayed or your wedding day candid shots - seeing them will remind you of your love story's beginning. . .
Have you bookmarked a ton of favorite sites but now looking at that long list and you have no idea what the links are for? Pinterest is a visual bookmarking site that allows you to "pin" images to boards you create. Returning to the board later, you can click on the image and be linked directly to the original site. This feature is great for planning a wedding. "Pin" bridesmaids dress to a board. You can then compare prices, looks, accessories, and your girls can view the information all online sharing comments on each choice! Planning a wedding while including the opinions of out-of-town girlfriends is much easier this way. 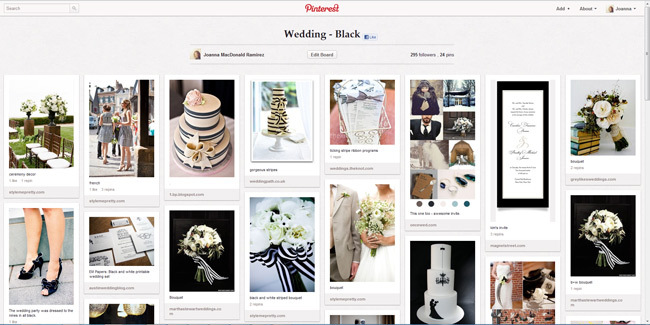 Below is a peek at my wedding planning board for black accents. 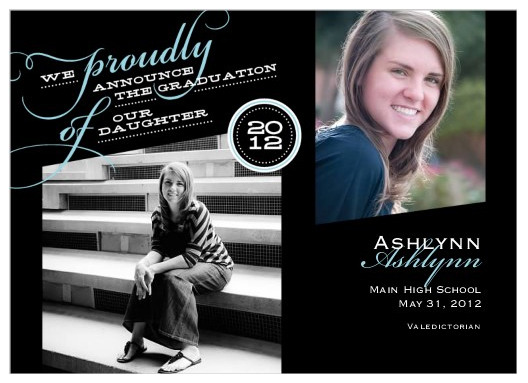 Pinterest is by invitation only - if you need an invite, just let me know! I'd be happy to help. 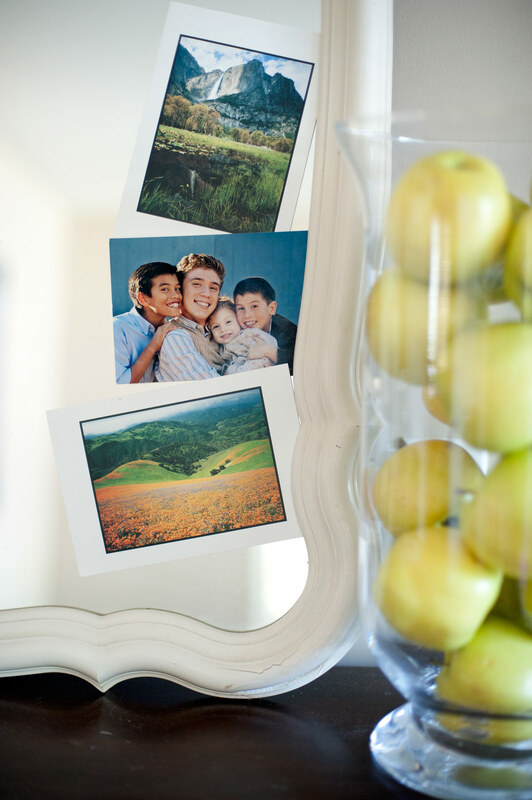 Despite How To advice and tips, creating a photo card collage can still be a tricky task! You might just give up and ask "Will you please design my card for me??" Why of course! To quote Chick-Fil-A "My pleasure!" The first step is to narrow down an assortment of favorite photos. We'll use that collection to create a sampling of card designs. We might supplement a few complimenting photos to support your main photo choices. These additional photos will usually be details or whatever is needed to balance your card design. After receiving your sample design you don't need to choose only one. You can choose a design for Grandma and her folks - the traditional headshot! You can choose a second design - more candid or modern - to send to other friends. Check out the thumbs up shot below - how can you not be happy for this couple?? Too cute! Candid shots like this can be very sweet on a photo card. Don't limit yourself! Choose what makes you smile and remember that special day. We recently shot a photo session with a very accomplished high school senior. The locations choosen were personal: we shot at ASU where she'll be attending next fall and the ball field was one she played at during her high school softball career. Though the wind made it feel like we were in Kansas (Toto where are you??) we managed to shoot quite a few photos! When I sat down to throw a few sample cards together it was flash back to Christmas time! So many families (moms!) 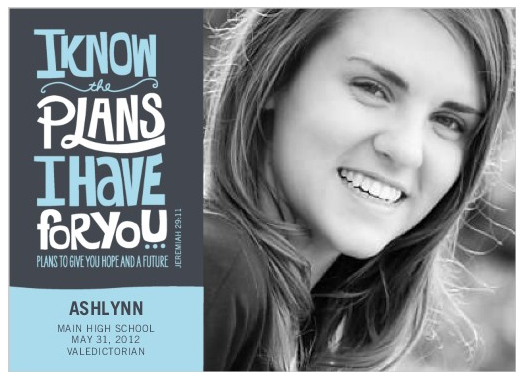 sit down to put a card together and at this time of year, there are families designing Senior Graducation Announcements and Invitations. I'm hoping this How To will be helpful the next time you are faced with a project! TLP does complimentary card designs for any session we shoot - we always enjoy playing with the photos and seeing them in beautiful print! Choose a color scheme - usually by pulling colors from the photo. If your photo session featured an instant favorite shot - one you want to show everyone! 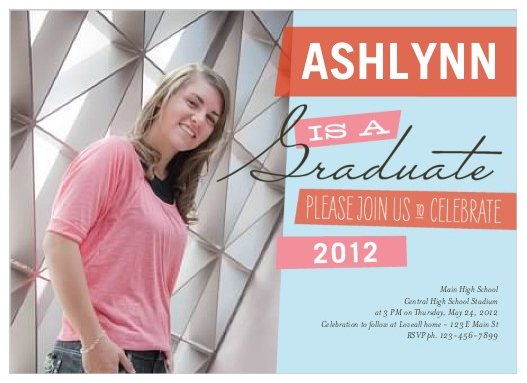 - don't feel pressure to throw a collage of 5 photos on a card just because you can! Showcase that showstopper with a single photo card. Just picture the impact of that one large photo on the refrigerator! 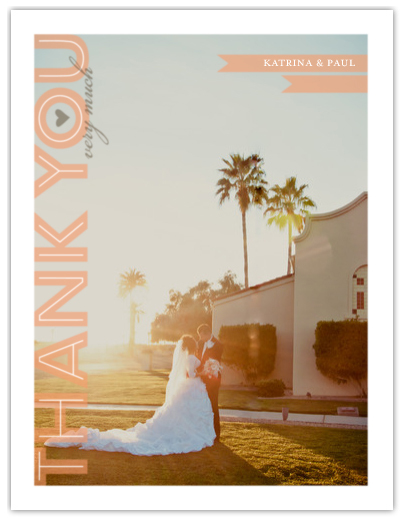 If you like too many photos or want to show off several looks, choose a card template that is not fussy, busy, or too colorful. Let it be simple to avoid the hodge podge look. In a multi-photo layout, decide which photo is most important and choose the other photos to support or compliment that main photo. Don't make them compete or you'll minimize the WOW of the main photo. If using multiple photos - don't make them all close up mug shots. Variety is good! Mix a close up with a full length shot with a detail or mid-range shot. Skin tones change so much under different lighting conditions and with different editing techniques. Be wary of placing different tone photos side by side. The most impact would be to have one color photo near a black and white photo. Final test - look closely at the design and ask the most important question! "How will this look on the refrigerator??" Trying to choose one dress to flatter and suit a group of bridesmaids is a task best left undone! If you're comfortable passing on a bit of the wedding day decision making, let your girls choose their own dresses. A mix and match approach can be beautiful! It's full of character and the results will reflect the personality of your best friends. That's why you choose them - for their individuality and character - that unique bit that makes each bridesmaid special to you. Choose a color scheme, maybe set a few guidelines . . . an advance gift of a pretty bag or piece of jewelry can help each plan her outfit around your color scheme and pull it all together . . . then let 'em shop! Better yet - plan a shopping trip together! View shopping information for the collection above on Polyvore. The big question "What should I wear???" There is no basic answer. If we all wore the same thing we'd be Clone Troopers. We have unique body issues, complexes, preferences, and style attitudes - we wont even mention budgets! You don't have to hit the mall before a shoot (though it's an excellent excuse!). Here are some basic tips to help you pull a collection from your closet or to help you make your shopping list. Bring several silhouettes. All your tops or bottoms should not be the same shape. This will add variety to your shots and show your figure off differently. Stick with what you're comfortable with, but mix it up. Be sure to include at least one neutral top (black, cream, grey, white, etc.) Whatever solid neutral color looks best on you. This allows for head shots or close ups that focus on the color of your eyes, or hair etc. Also as color trends change, this type of photo will appear more classic. Add some pop. Draw attention. Each outfit should have a WOW. Either an eye-catching color, a unique fabric texture, a piece of jewelry, snazzy shoes, or something that adds a pop and brings the focus to you. Bring at least three levels of comfort - a formal outfit, something casual, and something in the middle. These allows for a range of looks - some formal posing, some fun casual candids, etc. Trendy is great but be sure to include at least one classic outfit - you don't want your session looking dated within a year. Bring at least 5 outfits or more. We can help choose the outfits that will look best with the locations choosen. Bring several choices of footwear. Feet are included in full length portraits - you don't want the same shoes in all your poses. Be sure nails are groomed nicely. Many close up shots include hands - chipped polish or untrimmed nails can be distracting. Professional hair and makeup is an option or have a trusted friend help you get ready. You'll feel more confident and this will reflect in your poses. Collection above was created on Polyvore - to view shopping information click here. Presentation is huge. Think of a pile of photos strewn on the floor verses a beautiful wall arrangement. One is overwhelming, the other has impact. I'm more of a heap the plate with spagetti kinda cook however my friend's mother really focuses on presentation. That plate is not leaving the kitchen unless it's cut, squared, garnished, and drizzled with sauce! When it arrives at the table you get a feeling someone spent time making an effort just for you. The effect is always pleasing. That's why we all love those fancy restaurants on date night - it's special. So many times we've seen wedding pictures reduced to a random pile uploaded to facebook. I love spending hours designing albums. It really helps remove the other distractions of that day and really display the parts that count - the circle of friends helping, the beautiful details, the snuggles and embraces, the romantic ambiance of the reception, the laughing smiling guests . . .
Confession time. (We'll be doing a lot of this around here!) It's time to fess up and face the grim reality of digital photography and the disks of files it produces. There is nothing on the wall. Nothing. Nada. Just files on the computer that never live to be ripped, torn, faded, or seen by the light of day. That's a cryin' shame folks. There are so many lovely options out there! We'll try to share these with you so we can gingerly branch out past the standard Walmart 8x10. Amber makes a lovely vintage beeswax mixed media collage. You can see an example on the Pricing page. The one below is a portrait with a scripture. These are so customizable and unique. 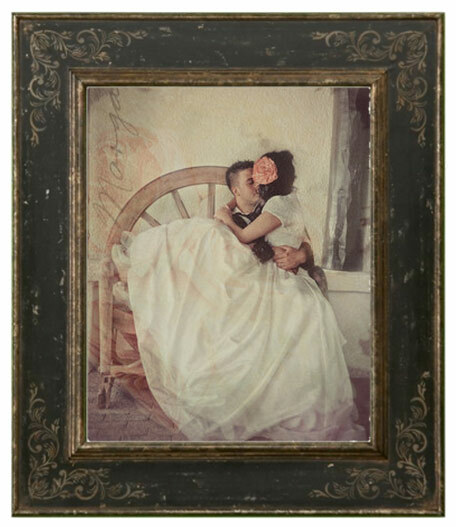 Displayed on a crowded antique sideboard or hung alone in the center of a large empty wall - it's a sweet soft way to display a photo. Amber helps you choose a photo that is enhanced by this treatment. It doesn't work well for all types of photos but something a little quirky, a little fun, a little less than traditional works perfectly! Even a set of photos - a close up detail of your wedding flowers, or the native desert texture of your wedding location, or a soft profile, etc - so many images can combine to make a wall grouping that is as decorative as it is personal. No need to hit the galleries! Just dig into that disk of files and use those photos in ways that aren't hot off the presses but labored over by hand the good ol' fashioned way! Our lastest wedding featured this darling cake created by Jackie Austin. I had the opportunity to interview Jackie about her training and methods. How were you trained? how did you learn? - I took a few classes as a teenager and then taught myself new techniques along the way. What types of cakes do you make? layers? fillings? - All my cakes and fillings are made from scratch. I have a few favorites that I use frequently, but for the most part I will work with the customer if they have specific flavors in mind. Fondue or frosting? Pros and cons for each? - I prefer to work with fondant. It looks beautiful and there is SO much you can do with it. - That completely depends on the amount of guests and how much detail will be on the cake. Advice of freezing cake for the anniversary? How do you find inspiration or do you duplicate photos from brides or more of a collaboration? - I first like to get an idea of what the customer wants: flowers, colors, shapes, etc. If they have pictures that helps me get a visual. We can then build on that idea and work out the specifics. Some of you attend a wedding and regardless of the beautiful flowers or designer dresses or lovely emotional speeches, you walk away judging the wedding a success or not based on the quality of the food. You know who you are! A foodie or a food snob or just someone who values a yummy dinner plate. I'm partial to a great meal myself. I read My Culinary Canvas faithfully and don't skip meals - and yes chocolate can be a meal! This weekend's wedding dinner exceeded expectations. Wedding food can be dry and flavorless. I've never catered a wedding but I understand the challenges involved - a large crowd, time schedules that don't run on schedule, less then ideal prep conditions etc. Creations In Cuisine Catering did a wonderful job. The table set up and food presentation was top notch and thoughtfully laid out. This was an autumn wedding and the food stayed in season - down home comfort food. I'm not a food critic and can't label all the flavors but the shredded beef was not shredded beef. It was butter. Literally melted in your mouth. The pork with cranberry chutney was flavorful and the ceaser salad tangy. The carrots were perfect - not bland and limp - but sweet with a bit of crunch still in them. What's not to like about mashed potatoes? if they are creamy with dill and a great gravy it's easy to eat too much! Did I mention we enjoyed dinner?? We did. I would recommend Creations In Cuisine Catering to anyone. We were too busy eating our food to take a picture of our plates - visit their website for photos and more information. How much time should I set aside for photos on my wedding day? Excluding the photojournalistic shots taken during the ceremony and reception action, wedding photography can be divided into 3 groups. the groom alonethe groom with his men and parents etc. The timeline depends on your schedule and vendor requirements. Some wedding locations have built-in timelines you are required to follow. If you have some flexibility, I strongly advise referring to www.sunrisesunset.com to check the time of sunset on your wedding day. An hour before sunset is the sweetest light for romantic photos. I remember a bride who said her vows as the sun was slipping down. It was very romantic, however following the ceremony it was time to take photos and it was pitch black. All the flash in the world will not light up the gorgeous mountain setting she had paid for. Consult your photographer before finalizing your time line to ensure all your special planning is reward with gorgeous photos that display every detail. You can group all three categories of photos before the ceremony, or split them up between events, or lumping all at the end. Whatever suits your day best. If you can plan the romantic shoot to be near sunset your photographer will love you. If you can't, that's fine. A good photographer can make any time of day work. Pre-ceremony photos: allow 1 hr 30 min or two hours. The photos will not take this long but this ensures time is available to deal with set backs (late flowers, late groomsmen, etc). This will also provide time to rest and refresh before beginning the ceremony. Formal family photos: generally 45 minutes to 1 hour depending on the amount of family groupings. If the small sets are completed in pre-ceremony (ei. bride with mom etc.) and only large family or bridal party sets are to be done then 45 minutes should be enough. Romantics - anywhere from 30 minutes to 1 hour depending on the location. If the more creative locations are a bit of a walk then 1 hour might be needed. Don't skimp on time allotments. Following the wedding, all that will remain are some wilting flowers, a bit of cake, a gorgeous spouse, and hopefully some splendid photos!! Can you explain the cost of wedding photography? Photography is a wonderful hobby. All of you know a friend or an uncle or a coworker who takes pictures. Great digital cameras are available at reasonable prices and free editing software can transform photos. So why hire a “professional”? What do they do different? Be creative in posing set ups. Many photographer spend time studying posing to ensure the more flattering photos. Be spontaneous and capture those unplanned moments. An experienced photographer is better able to anticipate those moments and capture them. Spend time and money on technical education. The best equipment is purchased and used to it's fullest, providing you with clarity and quality not found with photos shot from your Uncle Bob's camera. Focus on staying up to date in new editing techniques and photography trends. Be able to touch up photos in a way that is flattering to you. A professional will spend time studying editing technique and will purchase the best photo editing tools. Be likable and set you at ease – photos are personal. You want to be comfortable with your photographer – awkwardness will show. These skills, resources, and tools all come together to produce your final cherished print products. It is not "2 hours of shooting" that produces your photos but hours and dollars invested into equipment, education, and experience. The starting point of a photographer's pricing structure begins with the cost of quality equipment, the cost of professional editing software, and the costs of educational classes. The second portion of pricing factors in time spent working with you and for you specifically. 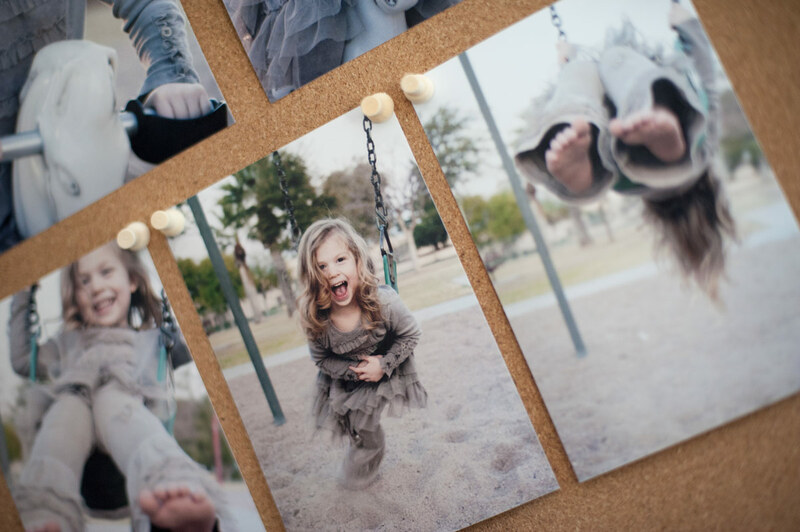 Here is a little of Tender Look Photography’s process. First we have a "meet and greet". We chat about wedding details and contract details. We’ll talk about your style and what you like. If you know your location and ceremony time, we’ll create an aproximent wedding timeline together. Depending on the location, I’ll either look it up online or visit it in person. We like to know what we’ll be dealing with. For a recent backyard wedding I took a drive around the neighborhood to find pretty spots for the romantic photos. That extra leg work makes a huge difference in the end results. Amber and I also like to attend the rehearsal. Not all photographers do this. The reason we go the rehearsal is to get a feel for the event. Knowing who the key players are, where the events will take place and in what order, and what the location lighting is at that time of day helps the actual wedding day flow smoother. Time is of essence on the wedding day. Figuring out angles, camera settings, or prime background locations is already done. Also the family and friends get comfortable with us and are more relaxed in front of the camera the following day. The wedding day unfolds incredibly quickly. A chain of events interrupted by delays: the bridesmaid not ready, dad is MIA, the flowers are late, etc. Adjusting to this and maintaining a good attitude is key. Being flexible and helpful is so important. I’ve bustled gowns, trimmed flower stems and helped with place settings all to help someone be ready for their photos. We also continually check with each other and mark off our shot list. We want to be sure nothing is missed. Every detail, event, or guest is included. Organization and experience will play a key role on your wedding day. That is just the first half of our work. The bulk of it comes after the wedding is shot. The first step is to sort through all the photos and remove the wasted shots (lighting test shots, eyes closed, motion blur, if several are similar the best shot is chosen). Next photos are sorted into categories. Bridals, Ceremony, Reception, and Romantics. 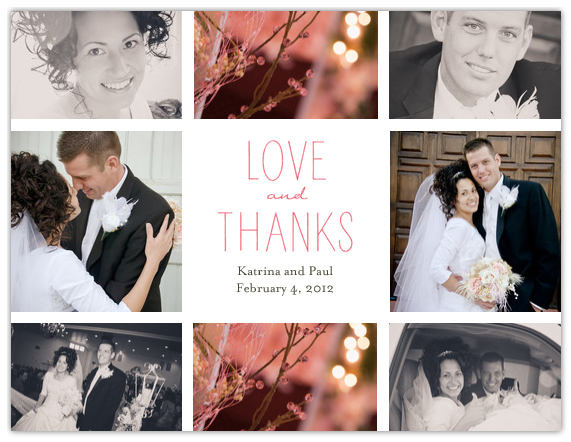 They are organized in a way that will flow nicely in a slideshow and tell your wedding story. The first round of edits will correct color, crop for interest, and do blemish touch ups. Finally the fun part! Effects. Vintage, high contrast, black and white, sepia. This is when we tailor our editing to suit your chosen print products. 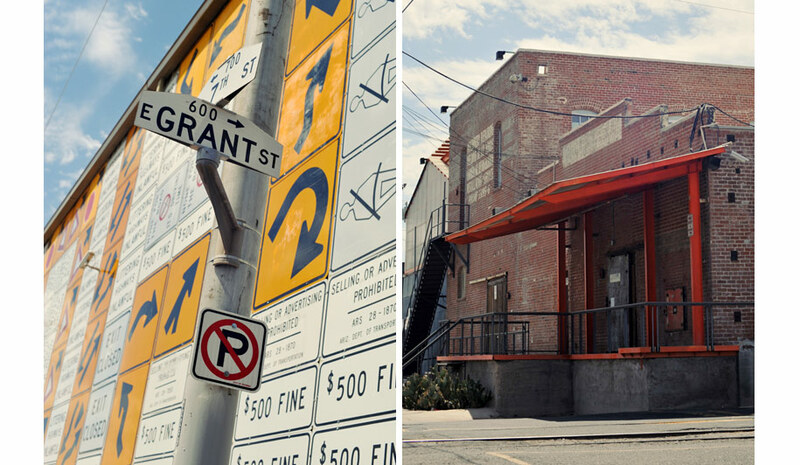 The final aspect of photography pricing is related to your print choices. 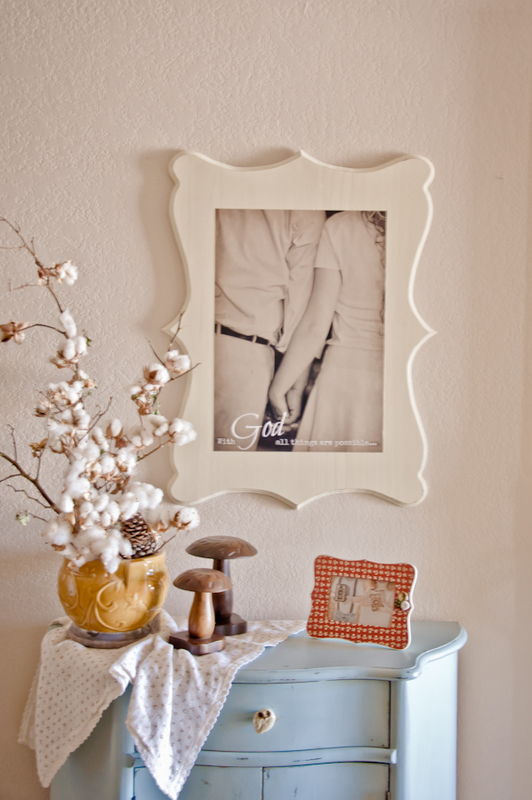 We do in home consultations if necessary to help you decide the best way to display your photos. Professional labs are used to ensure great quality products. Time is dedicated to ensure the best color and look. Packaging and shipping are part of the timeline dedicated to your order. At the end of the day, it takes a lot more expetise, cost, and time to achieve the beautiful photos we provide. This is not an entry level job pushing a button in front of a blue backdrop at a discount store. Hopefully, our efforts create images you will treasure, your children will treasure, and your grandchildren will treasure. Contact us to meet and chat. It was a beautiful wedding and you girls are awesome photographers!